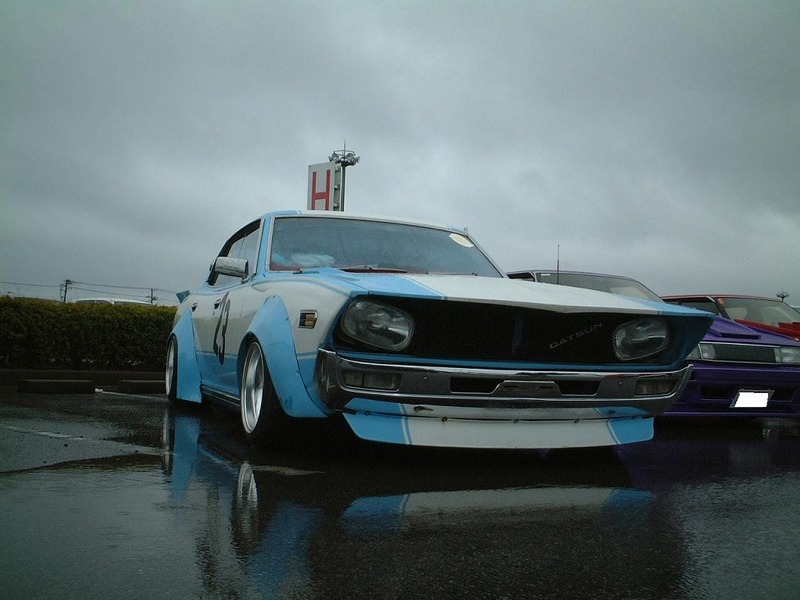 Dec 13th Search for the baddest of the toughboys! 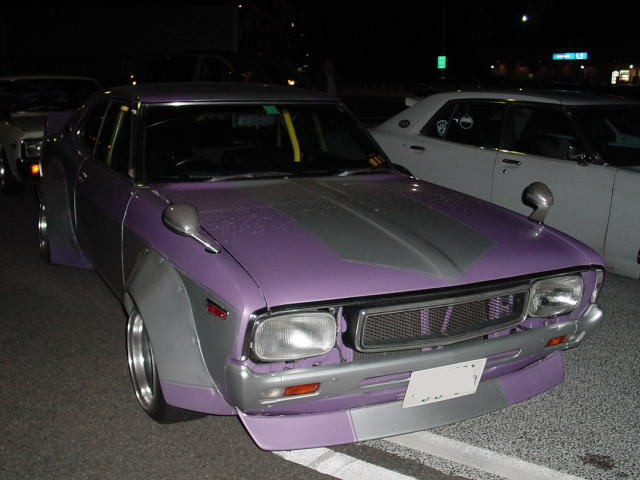 It was almost a tie, but with the difference of only one vote this car won! 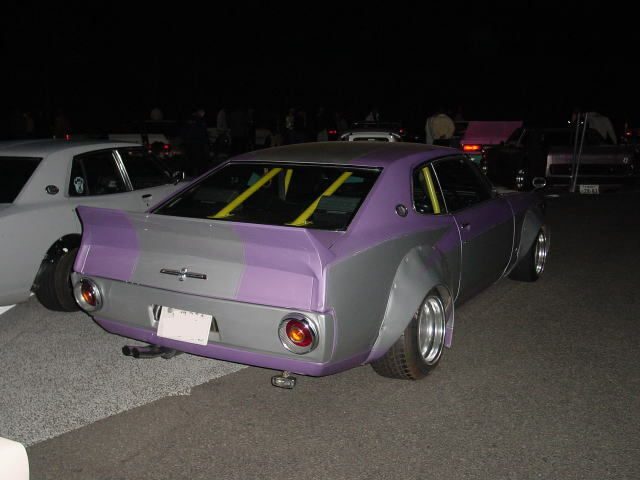 This Laurel has it all: a nice painscheme, a nice lip, a headlight swap, wide fenders, a yellow roll cage, a low stance and a taillight swap with a Skyline C110. 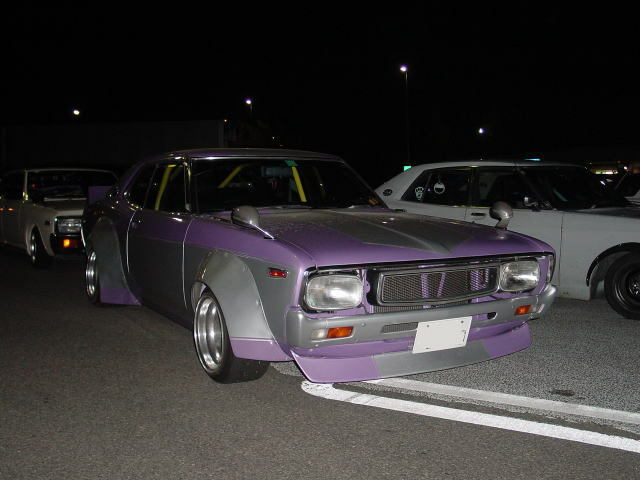 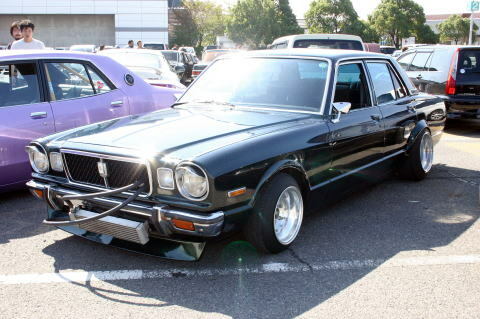 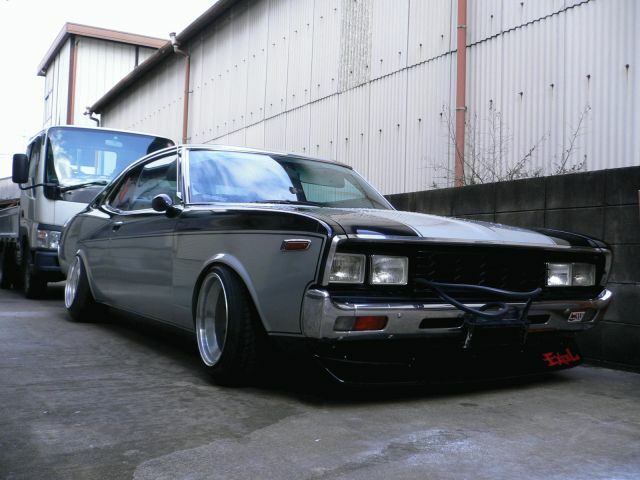 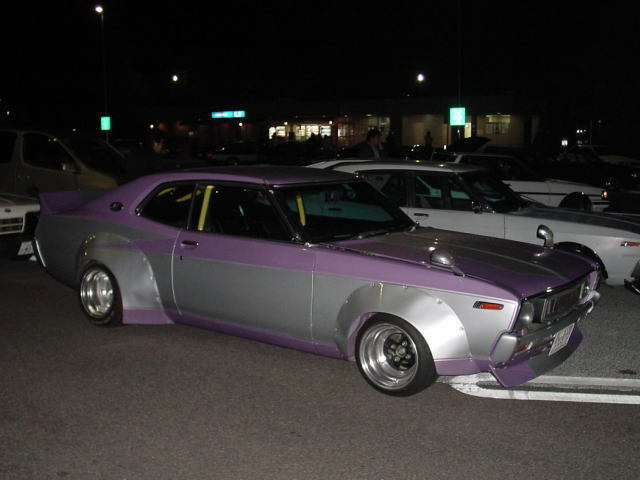 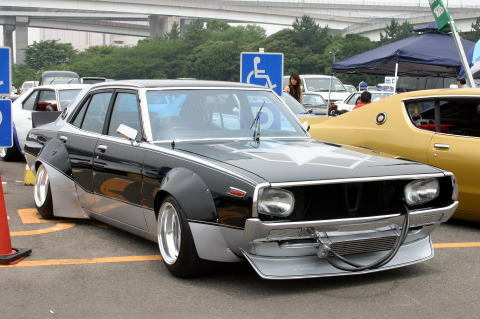 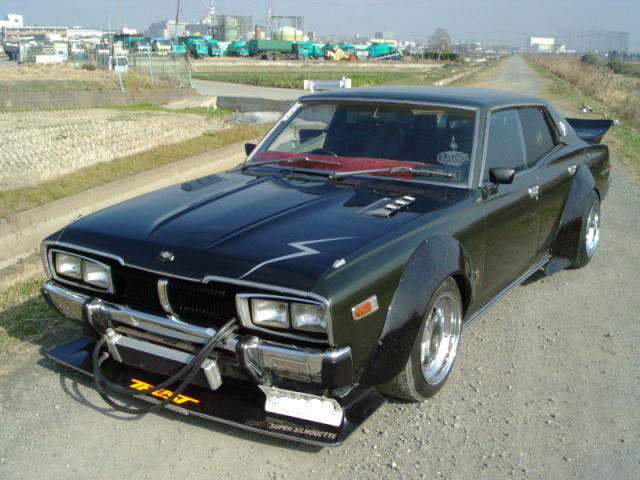 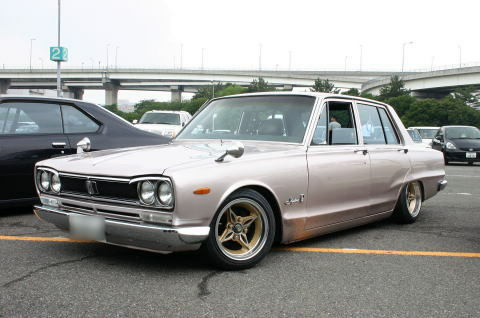 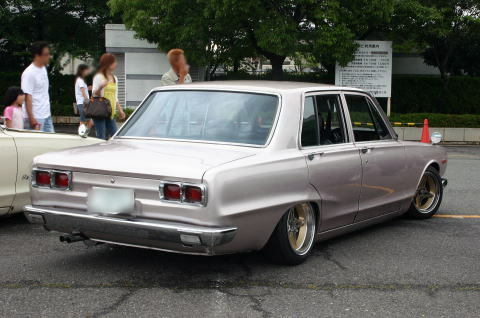 This Skyline C10 may look plain, but this car is standing on a set of super rare River Side Riverge rims. 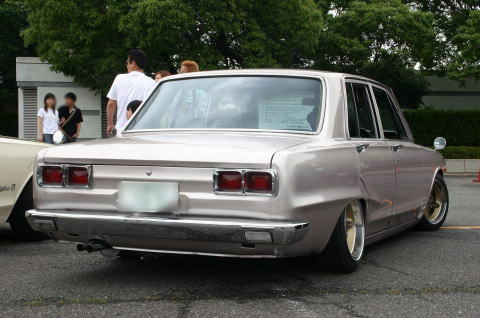 It could have been you did not recognize them because they are only visible partly at the rear: this car is lowered so much it hides inside the rear fender. 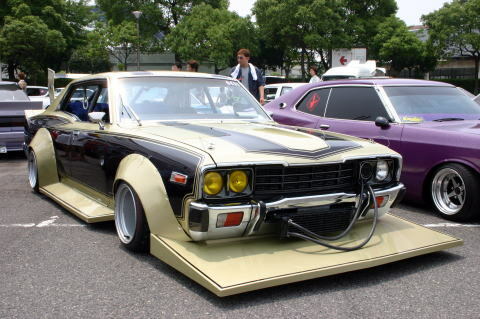 The car is so low that we had to include it!